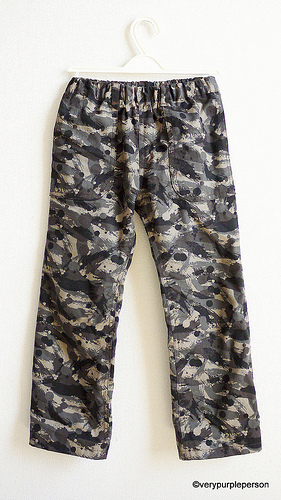 Another pair of camo print pants for Sidra. 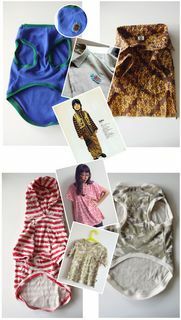 The fabric is medium weight Japanese cotton, very comfortable and suitable for children’s wear. 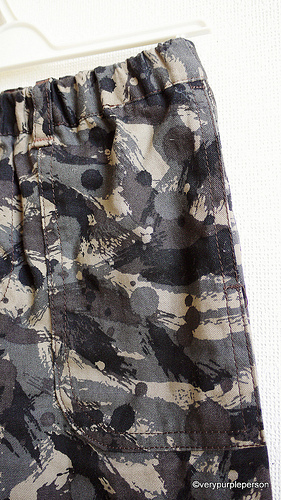 Actually the print is more like swishes and drops of paint, but the whole look is similar to camo print. 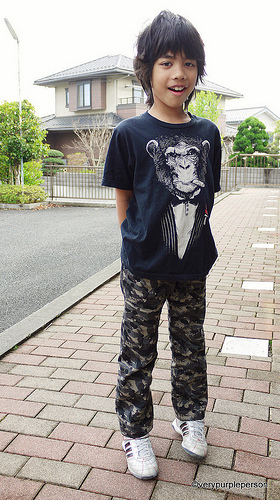 I think that was why Sidra chose this print when we went fabric shopping a couple of weeks ago. The pattern is from Japanese pattern book, シンプル&ちょこっとデザイン おんなの子服おとこの子服 that I’ve used this pattern lots of times. 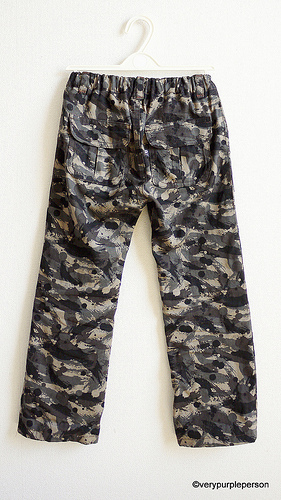 The pants have front patch pockets and back pockets with little flaps. 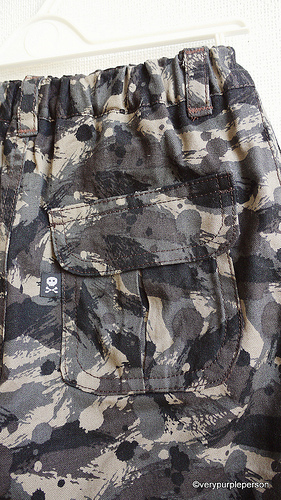 I inserted a little skull label before sewing the back pockets and also added some belt loops. 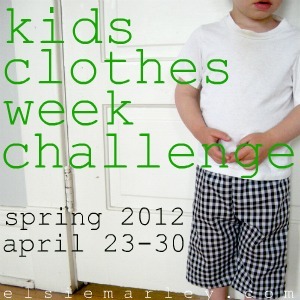 The pants are part of my participation in Kids Clothes Week Challenge hosted by Elsie Marley. This time I tried to take it slowly and not going for one project a day. I planned to prepare something every day and pay more attention to details of each project. It is fun! 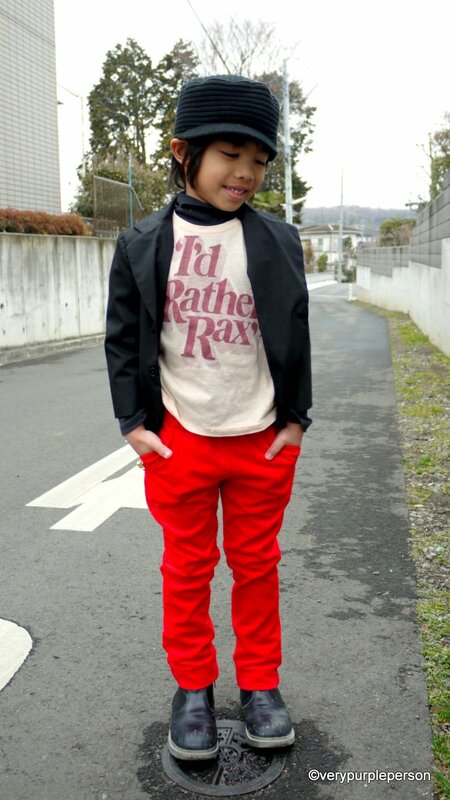 Pattern is #14 from シンプル&ちょこっとデザイン おんなの子服おとこの子服, size 130.